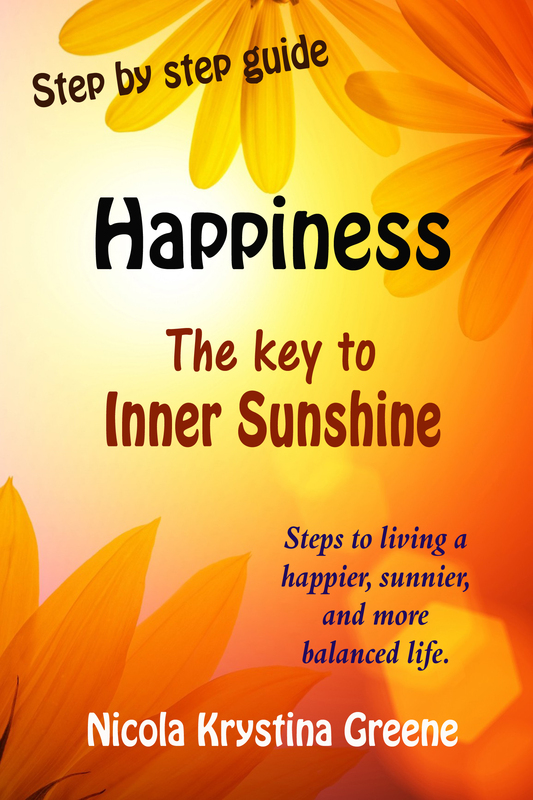 For a complete handbook to achieving a happy life, I recommend Nicola Krystina Greene’s “Happiness: The Key to Inner Sunshine.” From ways to discover your inner sunshine, to ways to dissolve any blocks you have to happiness, Greene covers all the current wisdom on finding your inner light and letting go of negativity, fear, suppressed anger and hurt. Despite your life circumstances, Greene shows you how to live a sunnier life right now by living in the moment, practicing meditation, and expressing your true self. One of the more beautiful ways she shares is how to reconnect with nature and find inspiration all around you. As a daily meditator, I also appreciated the powerful meditation techniques she teaches, including the Hong-Sau Meditation and Candle Flame Meditation. Unhappiness only exists in the mind, writes Greene. So open your mind to the possibilities of a happier life. Anyone who puts her suggestions into practice will feel freer, more empowered, and definitely, happier. Nicola: Happiness is a deeply subjective personal experience and we each feel it and express it in unique ways. But it does have a universal aspect to it which is that it is related to our ability to feel our inner light. That ‘inner sunshine’ sits within us, waiting to be unlocked, but is usually hidden behind the layers we create around us that imprison or dull that light – such as our fears, masks, and distortions. The more we free ourselves from false beliefs and learn to connect with our internal sunshine, then the more we experience our true selves, our connection with the Universe, and finally have the keys to lasting happiness. Nicola: Many people do not yet understand that happiness is not found in external objects, or in having specific events occur, and until they know where the real source of their happiness resides, they will always be seeking in the wrong places. Along with this, today we live in isolated, artificial spaces and are less in tune with the healing rhythms of the outdoors and the natural world. Instead we have developed frenetic and technologically driven mechanical rhythms that create unbalance in our systems and biology. Becca: Would you say, as others have, that our brains are wired more to remember trauma than happiness, so we have to work at being happy? Nicola: It may be true that traumatic events are more easily remembered, and happiness is something we always have to work at. However, when we learn to re-program our thoughts and habits towards happiness and positivity (as shown in the book) then we may find that happiness comes progressively more easily and effortlessly. When we practice happiness, we naturally attract more positive events to ourselves, and will even find that we experience challenging or traumatic times differently. As we learn to turn up the light inside us, raise our vibration, and centre our attention and consciousness within that inner light, then we develop a habit that will help us to more easily return to our happiness again. Becca: What are the most common misconceptions about happiness? Nicola: Perhaps the most common misconception about happiness is the idea that the feelings of joy we experience are caused by something that has happened outside of us – an event or action. However, we can ignite that same feeling simply by remembering an event or picturing a scene or that makes us happy, and this shows that the outer stimulus is not necessary, so we don’t even need the external event or person in order to feel happiness. Becca: How can we train ourselves to have a positive outlook? Nicola: There are great ways to train our brains to help us notice things that make us happy and get in the habit of deliberately thinking more uplifting thoughts. By using these techniques, and changing the neurological pathways in our brains, we can train ourselves to generate positive feelings more often than negative or pessimistic feelings. This way we begin to see things that make us joyful more often, helping us to become happier and happier! Becca: What led you to write this book? Nicola: When I was 18 I developed health issues that gradually became more debilitating over the years and which led to times of depression. 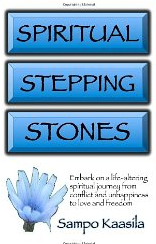 I spent a decade travelling the globe looking for answers and healing, and along the way I met many amazing spiritual masters, shamans, psychic surgeons and gifted spiritual teachers who helped me to find my happiness again. I gradually began to focus less on my health issues, and more on being happy now, learning to enjoy the beauty of each moment exactly as it is. I finally stopped reaching for happiness in the future, and got to where I could feel that everything is perfect in this moment, even during times of sickness or pain. I began to feel so much joy that when people saw me they described me as ‘sunshine’ and that it made them happy to be around me. I knew that this was something I wanted to share, because all of us can feel that ‘sunshine’. So, I decided to write this book as a way to give back and pass on this wisdom. Nicola: The biggest tip I can offer is to focus on the feeling that you want to inspire in your readers. If you want them to feel happy then focus on happiness, or if you want to offer advice on overcoming fear, then focus on strength and empowerment. The more strongly you engage with that feeling as you write, the more you will find that your words become energized and infused with that energy, and your writing will align more closely and powerfully with the message you are trying to convey. You have a specific energy and message that is unique to you, so when you write, allow your own unique expression to come through. For more information, see www.innersunshineeffect.com. Spiritual awakening happens when you are ready. If you are searching for answers to the meaning and purpose of your life, Kaasila’s new book may be the guide you are looking for. He does not tout any specific religion or dogma, but rather transcendence beyond the “dream world” of our emotions, thoughts and addictions, to an awareness of our spiritual nature… where we can experience the one universal awareness. Kaasila takes you step by step, explaining how you are not your emotions, you are not your thoughts, you are not your roles, not your pain and suffering, not your body or your ego. Rather, he explains that we are spiritual beings inside a material dream, and how to grow the spiritual dimension in our lives. 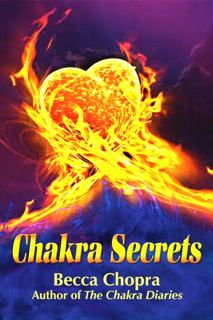 I found reading this book a meditative experience in itself.